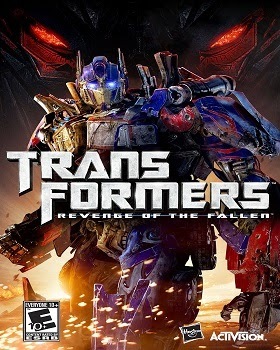 Transformers: Revenge of the Fallen (or simply Transformers 2) is a 2009 American science fiction action film directed by Michael Bay and executive produced by Steven Spielberg. It is a sequel to 2007's Transformers and the second installment in the live-action Transformers series taking place two years after Transformers. The plot revolves around Sam Witwicky (Shia LaBeouf), who is caught in the war between two factions of alien robots, the Autobots and the Decepticons. Repack Full Game To 2.3 GB. ***This is a Full Version Game. No cut scene, no audio cut from this game. Hey admin, I'm having a problem...it seemed to install just fin, but when I click the Start icon, a white screen comes up and says'transformers has stopped working.' Then eventually close program....what should I do? Try Run as Administrator. I think this fix your problem. If not then Comment your PC config here. Can this game run on Windows 7 ??? Hei admin..why cant play multiplayer? It says "has problem with your licence".... Can fix it? Hey admin, happy to meet you. Your transformers 2 awesome, good work admin. I'm facing a simple things by controller. I have x360 controller gamepad. All keys functioning but in vehicle mode I can't use any keys. When I tried to change, it shows error binding keys. Try changing the compatibility to windows xp. hello sir! can i run this gam in my pc i have intel hd graphics 5500 with 3gb graphics memory! Yes you can play it. Can this game run on window 7?? Yes it can run on win 7.
hey admin Please add WWE 2K16 at only 500 mb to 1GB. I request you becauser I love WWE 2K16 game very very much. We don't provide games with password. So, all games are password free.